Happy 7th Anniversary Oyen. It has been a 7 wonderful years together living with this lovely cat. 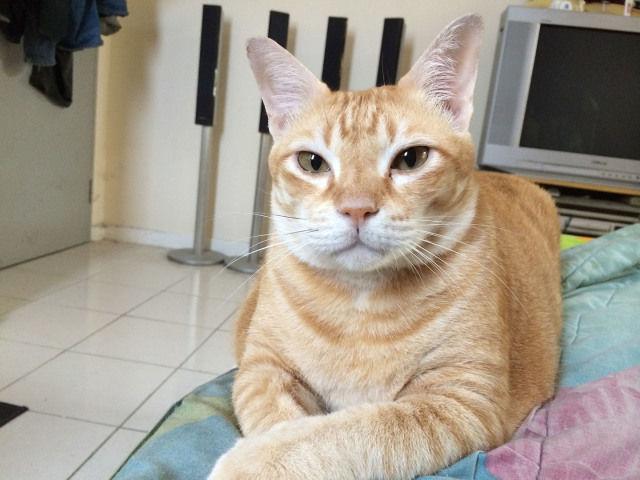 Some said that Oyen is lucky to found a new house after being a stray cat (I first adopt him when he came to the front door of my house). But for me, I’m the lucky one to be given this most well behaved cat. Thanks Oyen for the accompaniment for the last 7 years, and he surely something that makes me forget all the stress that I have been into the day when I come back home.